If you missed last month's gift ideas, find them at https://www.tsln.com/home/3311624-111/cowboy-ride-western-eugene. I anxiously watched my mailbox for the latest in the Vaquero series from J&S Productions. It was well worth the wait. Released in November, the 116-minute Vaquero Nine: Texas Cowpuncher, Part Two is a continuation of the 98-minute Part One. Others in the series are Tapadero: The Californio; The Remuda: The Buckaroo; Holo Holo Paniolo: Hawaii; Houlihan: Northern Range; Los Primeros: The First Vaqueros; Tierra Encantado: New Mexico Cowboys; Mula: Long-Eared Hero of the Old Spanish Trail. The opening scene in Nine – filmed on the White Ranch in East Texas, with background music by nouveau zydeco accordionist and cowboy/western singer Geno Delafose – breaks all the stereotypes about American cowboys. Raised in eastern Montana, I was spellbound watching cowboys push a herd of Brahma-cross mother cows into an inner-coastal waterway. The multi-colored herd swam in a serpentine fashion, guided across the currents by a motorboat. The Charolais bulls running with the cows were sorted off and transported via stock trailer. As Nine closes, a 06 Ranch cowboy from near Ft. Davis picks cockleburs from a horse's tail, and a dune buggy is utilized to move a branding camp and chuck wagon. In the interim, viewers are squired through the brush country where a helicopter helps gather wild cattle, and a pint-sized cowboy practices his roping skills. There's discussion of tying hard-and-fast vs. dallying; hurrying to get a job done vs. taking your time; and the merits of practical vs. stylish gear. I heard some dandy new songs from real working cowboys, along with some old favorites. The 06 is included in Eight, Part One, along with the JA, the 6666, XIT, the Matador, and others. 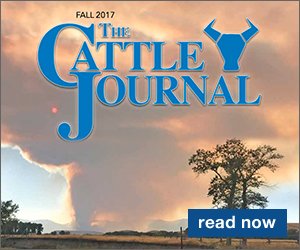 It contains a wealth of information about the development of longhorn cattle, cowboys, catahoula dogs, and quarter horses. 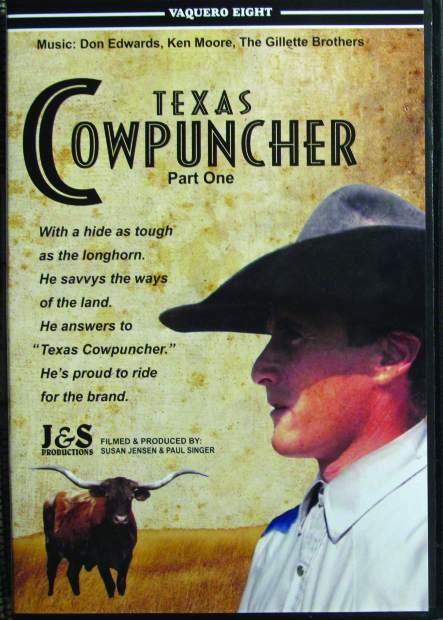 I've always enjoyed the Vaquero stories, finding them enlightening, but the Texas segments stand out from the rest. Maybe it's the sheer size of the state or the role it played in the cattle industry. Perhaps it's a subtle refinement in writing and production. 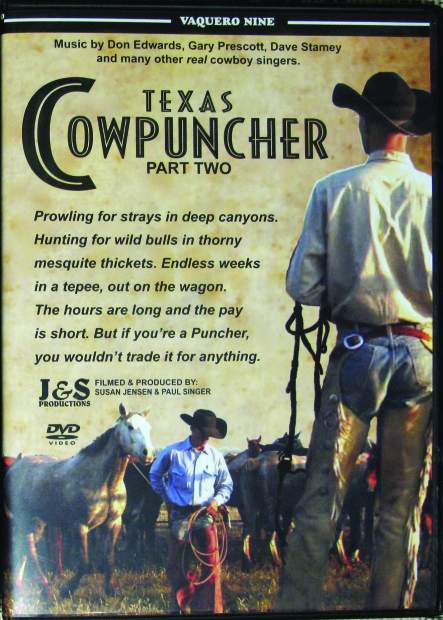 Regardless, Texas Cowpuncher, Parts One and Two would make a first-rate gift for the cowboy, rancher, or western history buff. Savvy retailers would do well to add it to their inventory. 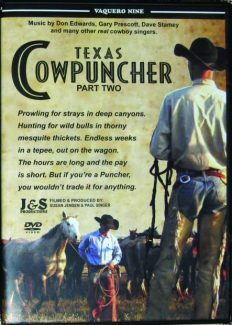 Vaquero Eight and Nine: Texas Cowpuncher, Parts One andTwo sell as a 2-DVD set for $35 plus $4 shipping (in US). The complete 9-DVD series, running a total of 14 hours, is $145 plus $10 shipping (in US). Individual titles are $19.95 plus $2 shipping. Order from J&S Productions, PO Box 91560, Santa Barbara, CA 93190; (805) 695-0164; http://www.VaqueroSeries.com. Photographer Heather Hafleigh captures the feel of the series in deluxe note cards featuring contemporary California ranchers, horsemen, and craftsmen carrying on the Vaquero tradition. 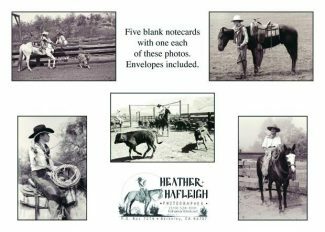 Several of her images appear in One: Tapadero, others are in the permanent collections of the Autry National Center, the Oakland Museum, and the Western Folklife Center. A thoughtful friend introduced me to Hafleigh's cards when she mailed one to me. I was struck by the beauty and quality. Measuring a generous 5"x7", the cards are available in two sets: one color; one sepia. 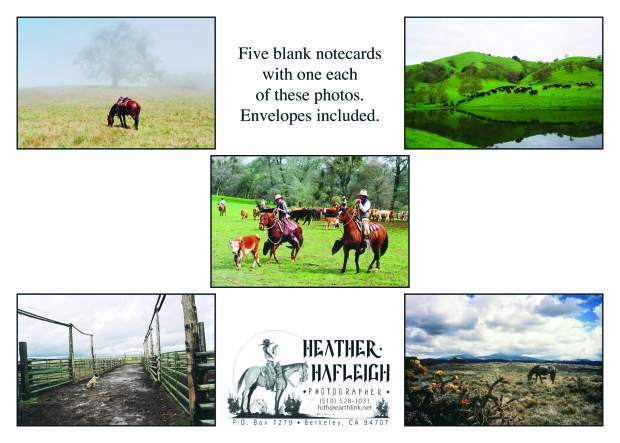 Send $15 per set plus shipping ($2.50 for one set; $5 for two) to Maverick Photos, PO Box 7279, Berkeley, CA 94707; (510) 528-1031; http://www.HeatherHafleigh.com. 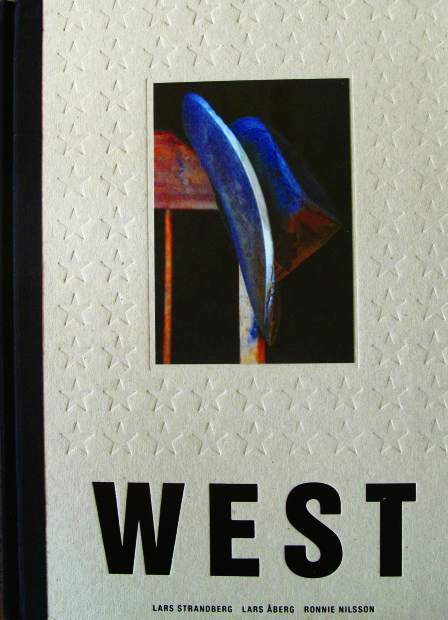 Contemplating the obsession with the American West – at once a Utopia and a brutal land of dust and drought – Lars Strandberg, Lars Åberg, and Ronnie Nilsson collaborated on WEST (Gibbs Smith, 2011, 264 pages, 9"x12", b/w and color photos, hardback, ISBN-13: 978-1423623502). I had the good fortune of meeting Lars and Lars in Nevada, during the National Cowboy Poetry Gathering. The pair was visiting from Sweden. The gathering provided an opportunity for them to connect with artists from across the West, yielding both photos and fodder for the thought-provoking essays. I was taken with the materials and construction of the debossed cover, spending considerable time admiring it before venturing inside to study the essays, portraits, scenery, and action shots. Small wonder it received the prestigious 2012 Swedish Design Award. It encompasses, among other locations and subjects, the ghost town of Bodie, CA, Cape Flattery on the Olympic peninsula; rodeo; ranching; pueblos; sagebrush; abandoned vehicles; derelict signs; and Butte! 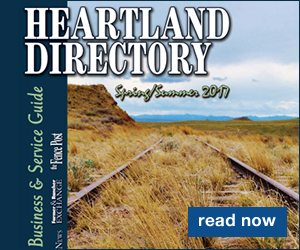 The varied format–black-and-white and color, wallet-sized up to 2-page spreads–adds to the appeal of the images taken on their Western odyssey. WEST lists for $45. It is available in bookstores and online. Amazon.com features an enticing "Look Inside."